When I grew up in Hull in the 80s it was always with a profound sense of embarrassment that my hometown was known as Lada City. That was because the first thing you’d see as you stepped out of Paragon Station was a line of Hackney Carriage taxis. But unlike our more affluent London cousin, they weren’t quaint Black Cabs. No – they were all Lada Rivas. Richardsons Taxis – that had the Hackney Carriage license confession for the station and beyond – had chosen the cheapest taxi they could. Both economically and stylistically. Thankfully those days have gone. The physical and cultural regeneration of Hull has been remarkable. 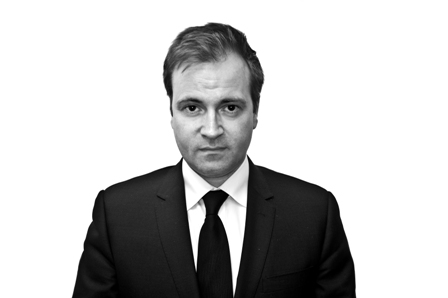 The Ladas have been replaced by black cabs – well, mini vans. We now have The Deep – the world’s first Submarium – a community-owned KC Stadium and a burgeoning renewables industry. And winning status as 2017 UK City of Culture, could be hugely transformative in the wider perceptions of Hull. That’s crucially important because the city has taken many reputational and physical knocks over the years. The legendary James Goodrick, who I worked alongside as a cub reporter on a local press agency, made his name reporting the monumental bombing raids by the Luftwaffe in WW2. But 70 years on, it’s not bombs that are damaging Hull. It’s Sir Brian Souter’s Stagecoach. 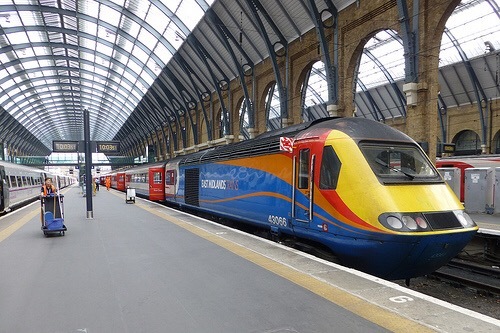 Stagecoach owns Virgin West Coast, Virgin East Coast and East Midlands Trains. He even runs Hull’s buses. 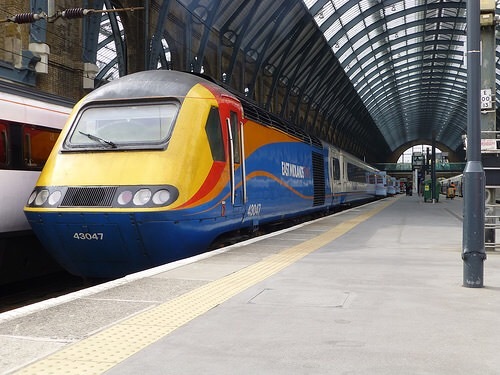 But since winning the East Coast franchise earlier this year – after a successful and profitable spell in public ownership – the Hull to London service (known for almost 49 years as the Hull Executive) has become the Cinderella service. As I type this, I speed to the capital on the 0700. The same train will at 17.19 take businessmen and women and tourists on the return leg. The Hull Executive is one of the famous four trains that ply the East Coast; the others being the Northern Lights, the Highland Chieftain and the Flying Scotsman. But bar the wonderful staff on board, the Hull Executive is the worst train on the network. Firstly, it’s an old swing door train. I remember as a teenager seeing some of the letters my father received as Shadow Transport Minister about the swing door carriages. Several families lost loved ones as the doors for no reason opened at high speed. They were eventually replaced with an automatic locking system. But I still feel uncomfortable when I see one. The second issue is the locomotive. It’s branded proudly as East Midlands Trains. The 0700 Virgin East Midlands Coast Hull Executive to King’s Cross. Very cross! So as you stroll down the platform on your first visit to Hull you’re instantly confused that you might have got the wrong train. Or maybe Hull is in the East Midlands? It’s a terrible branding issue and reflects poorly not only on Stagecoach but on Hull itself in the run up to it becoming 2017 City of Culture. 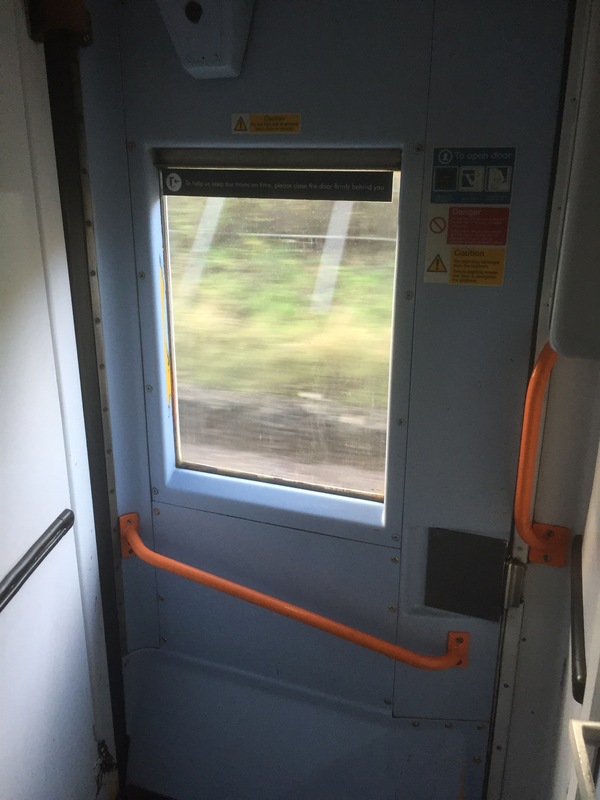 Thirdly – and this is the biggest issue for many commuters – it’s the carriages. Whilst I like nostalgia I don’t want to travel on it everyday to London and back. 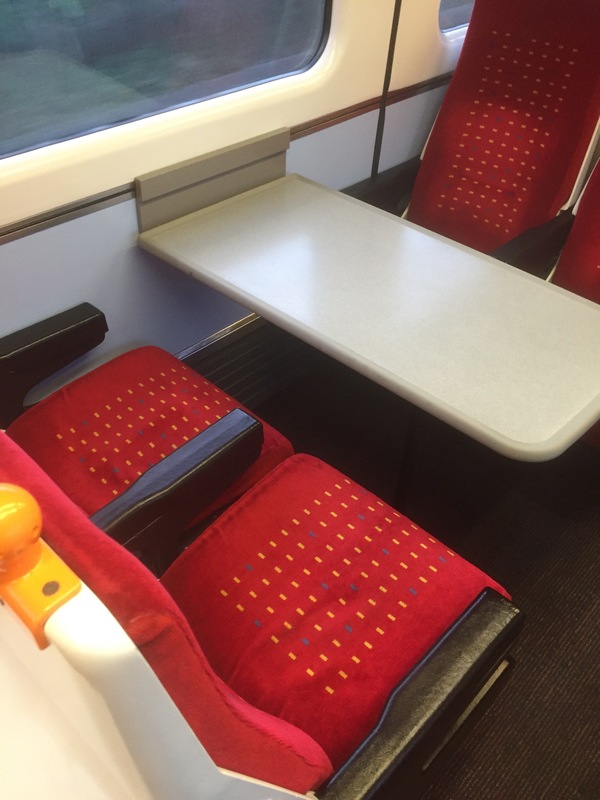 The carriages date back to 1978 and the seats are at such an angle that you can’t sit up. You effectively have to lie back as if on a sun lounger. Work or sit back? It’s one or the other! This makes it difficult for your back if you choose to work. And if you do decide to be productive, make sure your laptop is charged. Because Virgin East Coast made the conscious decision to give the Hull train service no sockets in standard. So if – like me this morning – you’ve failed to fully charge your computer – you face three hours of lost, work time. You can of course upgrade to get sockets but what a lousy message. 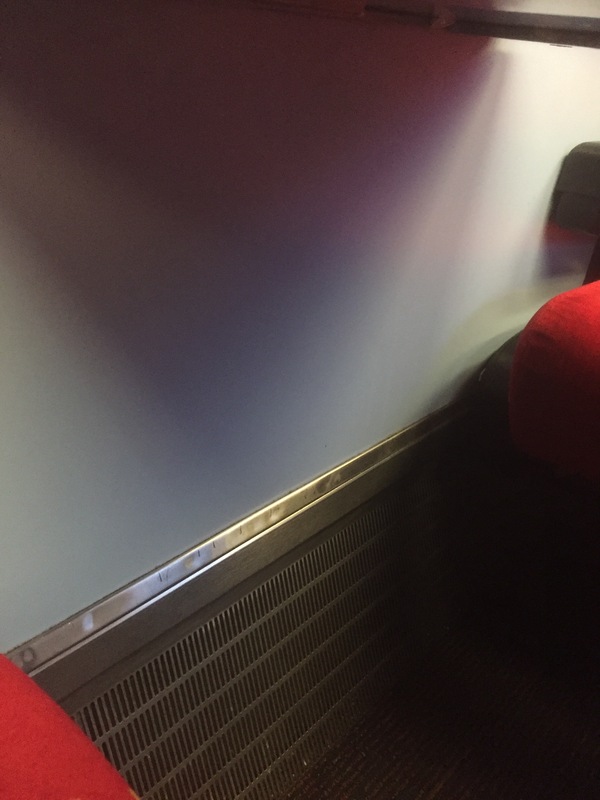 Travel in first class on Virgin East Coast and get free electricity! What’s even worse, is that we had better carriages before privatisation! When it was East Coast Trains, the Hull Executive had more modern carriages with electricity sockets in standard. This was the East Coast 0700 Hull Executive. But when Virgin East Coast (effectively 95% owned by Stagecoach) took over the route they took the carriages away, moved them down south and replaced them with ones built in 1978! They even took the locomotive and replaced it with an East Midlands locomotive. It was literally a Great Train Robbery. In just over a year’s time, Hull will welcome the world to our city to enjoy the best cultural highlights the UK has to offer. But if the world choses to take the direct 1719 from London King’s Cross they’re going to get a bad impression before they reach Hornsey let alone Hull! They’ll be traveling on rolling stock that’s one year short of is 40th birthday! So pull your finger out Stagecoach and Souter. Hull deserves much better than this. The fleet of Lada taxis may have been consigned to history. But your determination to take us Back to the Future every day is nothing short of reputational vandalism. So change the stock, rebrand the locomotive and gives us back our plugs!